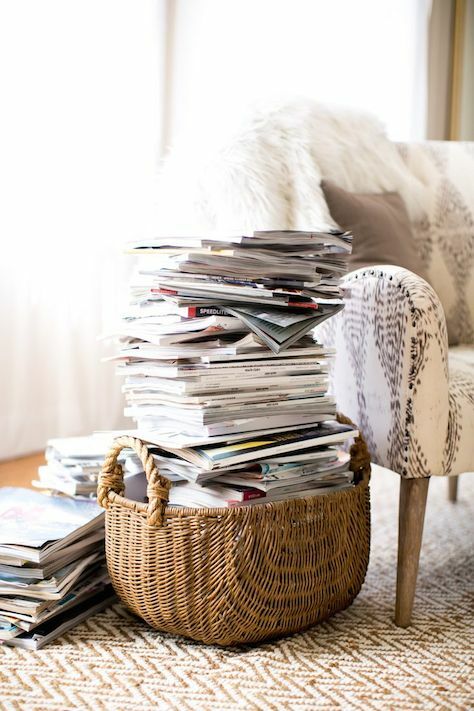 Lately it seems that every time I turn around my neat little stack of magazines and catalogs has grown exponentially into a messy mass ready to take over my coffee table. Does anyone else have this problem? 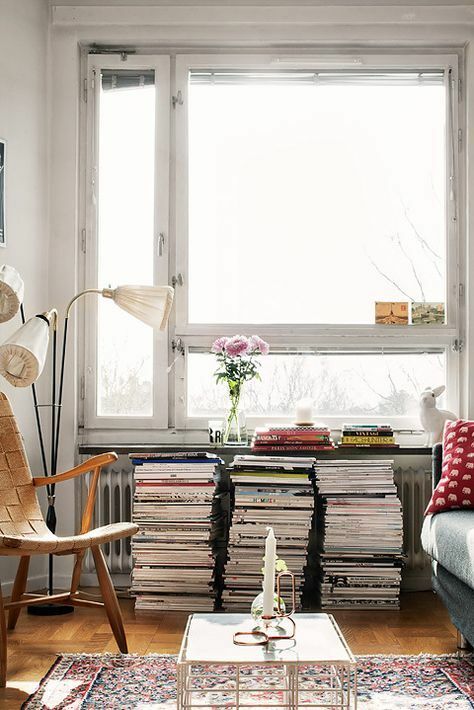 Theoretically, I like the idea of disguising this plethora of glossies within my living room decor like these images suggest. Stack them in a basket near a lonely chair. Mask that ugly radiator under a window. Create a piece of art next to a fireplace. But would my OCD allow me to have such decor? Probably not. 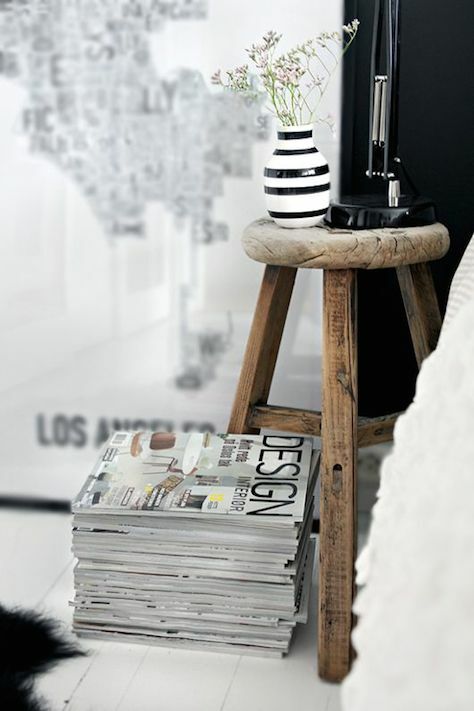 How do you tackle printed publications?